This book presents rich empirical analyses of the most important movements in Chile’s post-transition era: the Student Movement, the Mapuche Movement, the Labor Movement, the Feminist Movement, and the Environmental Movement. The chapters illuminate the processes that led to their emergence, and detail how actors developed new strategies, or revisited old ones, to influence the political arena. The book also offers contributions that situate these cases both in terms of the general trends in protest in Chile, as well as in comparison to other countries in Latin America. Emphasizing various facets of the debate about the relationship between “institutional” and “non-institutional” politics, this volume not only contributes to the study of collective action in Chile, but also to the broader social movement literature. Donoso, S. (2016). “Outsider” and “Insider” Strategies: Chile’s Student Movement, 1990–2014. En S. Donoso & M. Von Bulow (Eds. 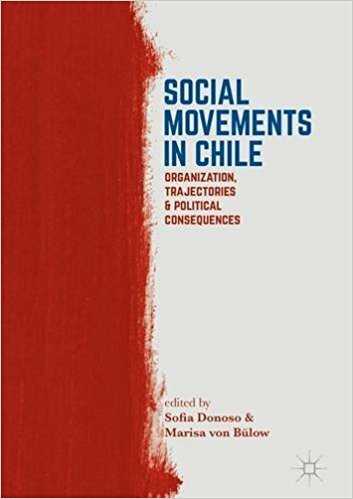 ), Social movements in Chile: Organization Trajectories, and Political Consequences (pp.65-97). Palgrave Macmillan US.